Envoyer des fleurs aujourd'hui à Moscou, Nizhniy Novgorod, Oryol, Pskov, Rostov-sur-le-Don, Ryazan, Saratov, St-Peterburg et d'autres villes de la Russie! Bouquets de fleurs à partir de 29,99 $. Livraison de fleurs en Russie Livraison le jour même. 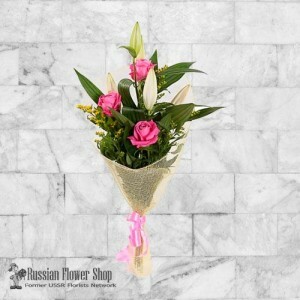 Magasin de fleurs en ligne Russie. Mixed bouquet with mini roses, chrysanthemums and greenery.When you order bouquets, they will be pro..
Mixed bouquet with lilia, roses and gerberas with added baby's breath and greens.When you order bouq..
Mixed bouquet with red roses, white daisy and greenery.When you order bouquets, they will be produce..
Mixed bouquet with roses, chrysamthemums and greenery.When you order bouquets, they will be produced..
Mixed bouquet with alstroemeria, chrysanthemums and greenery.When you order bouquets, they will be p.. 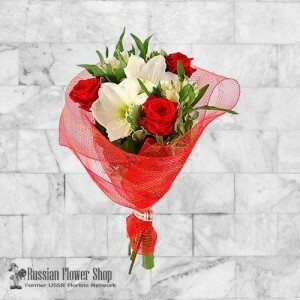 Bouquet with red roses, white lilies and alstroemeriaIn the world of flowers with red roses, white l.. 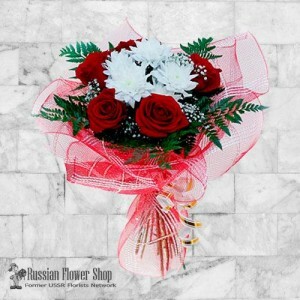 Bouquet with red roses and white chrysanthemumsModest white chrysanthemums and large buds of red ros.. 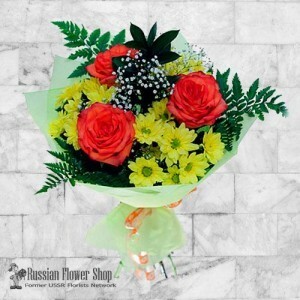 Bouquet with roses and lilies.A lovely bouquet just yells about the feelings of his donor, showing a.. 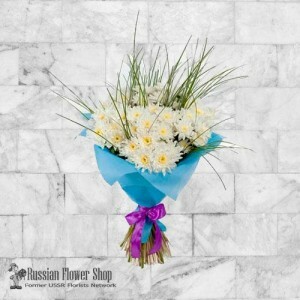 Bouquet of white chrysanthemum.Charming, sweet and concise bouquet of white chrysanthemums will be g.. 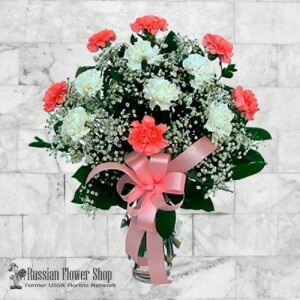 Bouquet of Mixed Carnations.Mixed Carnation Bouquet. 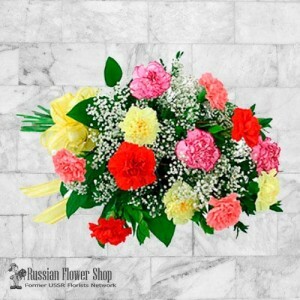 This colourful bouquet of assorted carnations, .. 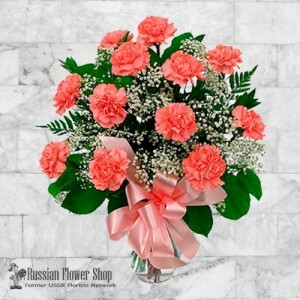 Bouquet of pink carnations.13 long lasting and popular pink carnations with added baby's breath and .. 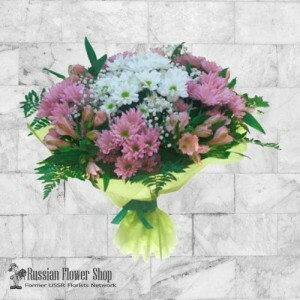 Bouquet of pink and white carnations.Say "Thank-you" with this long-lasting arrangement of pink and ..